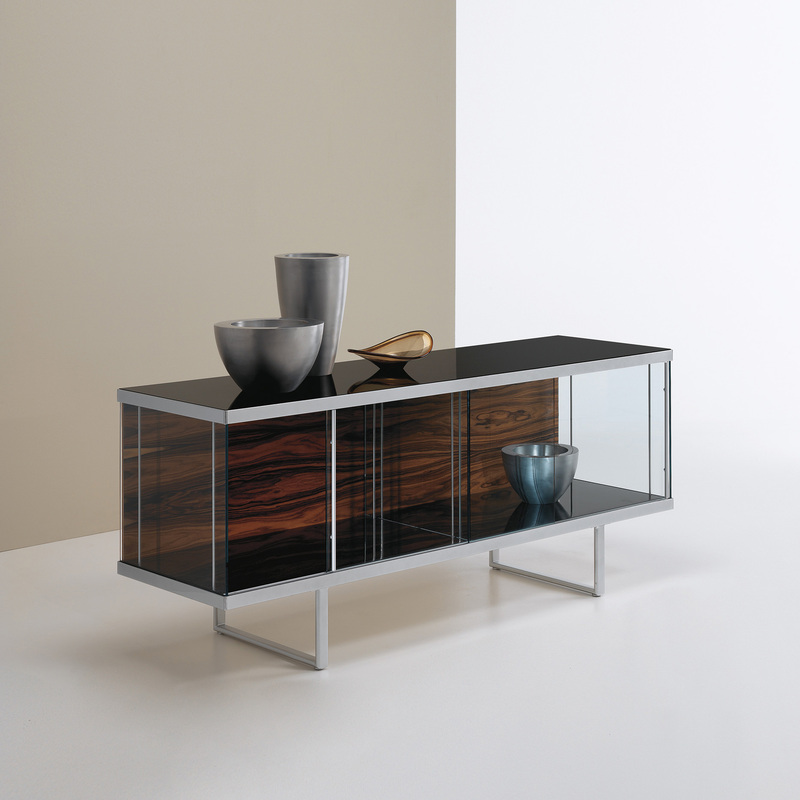 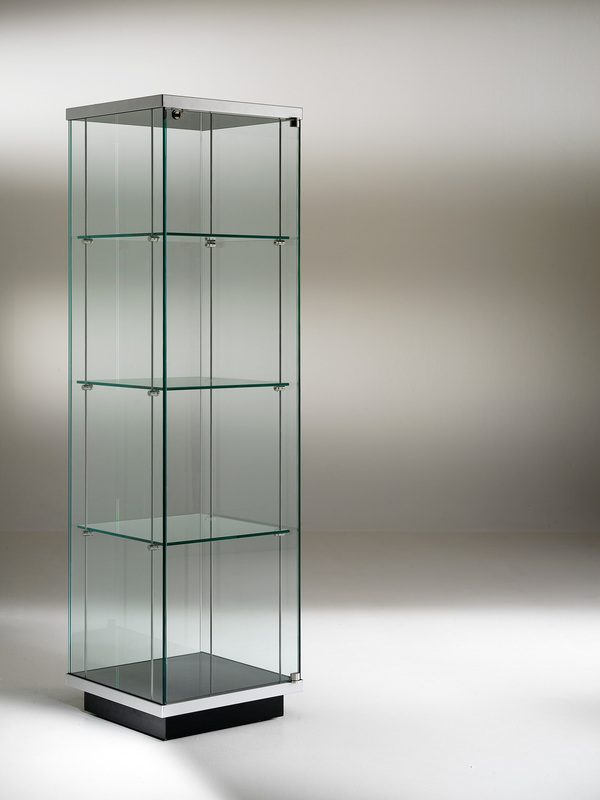 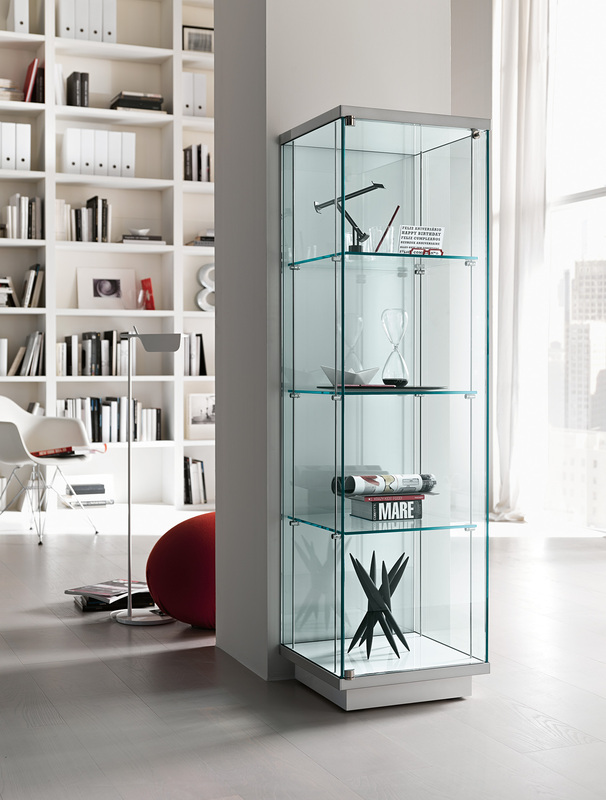 Storage unit in tempered glass and lacquered wood. 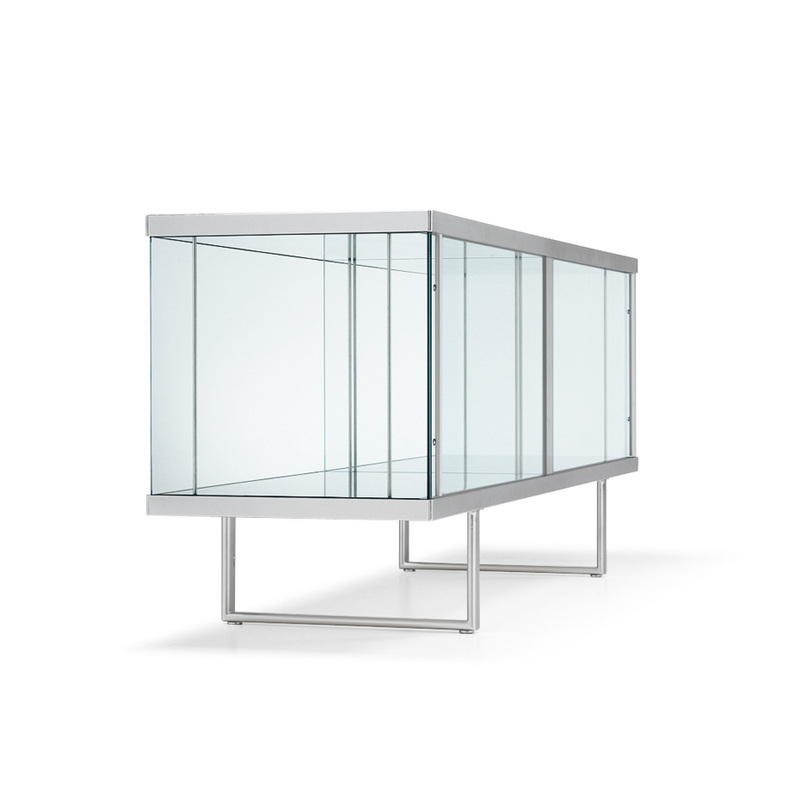 Aluminium profiles and sliding doors. 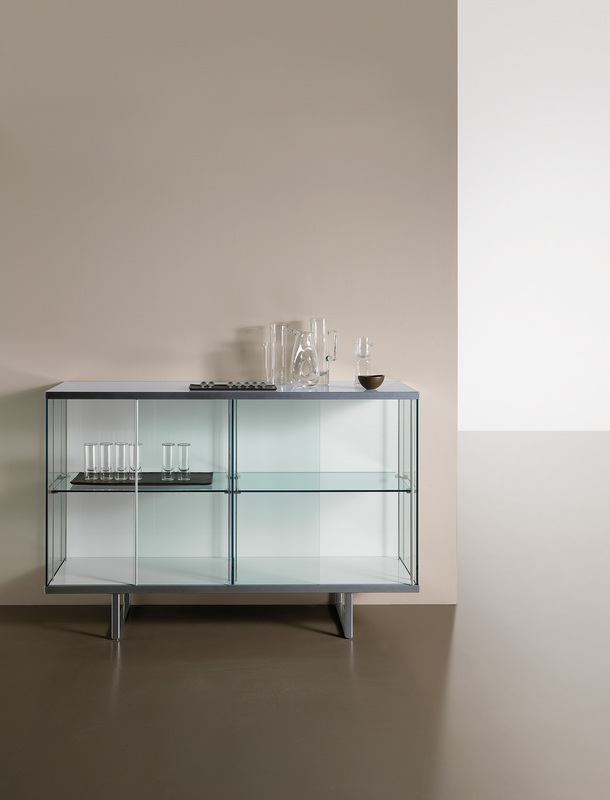 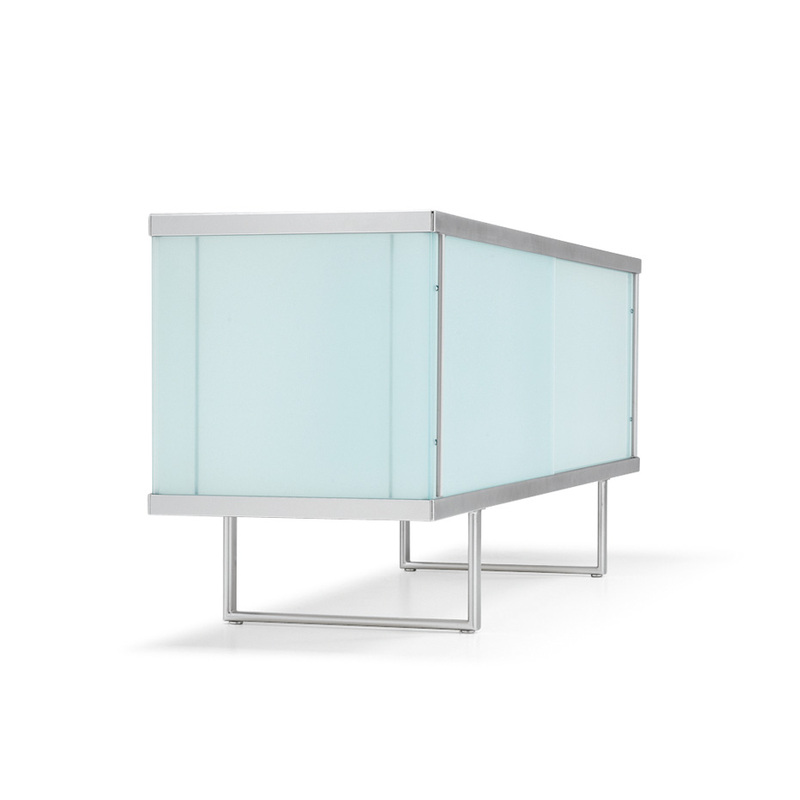 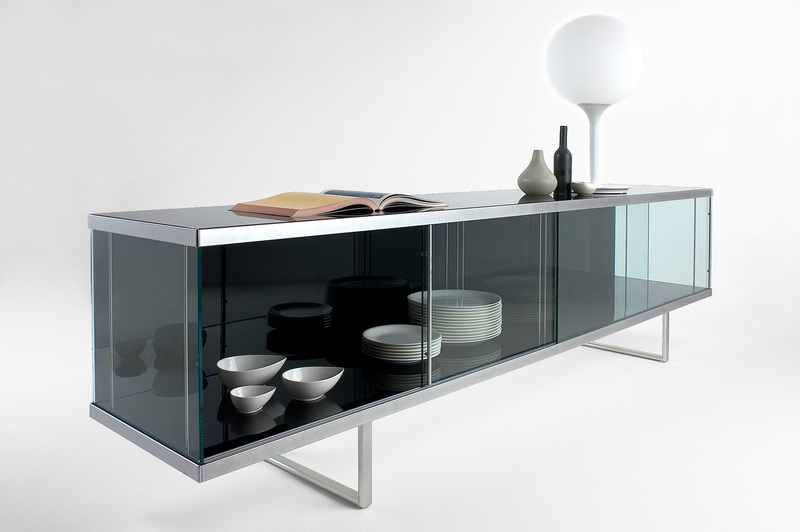 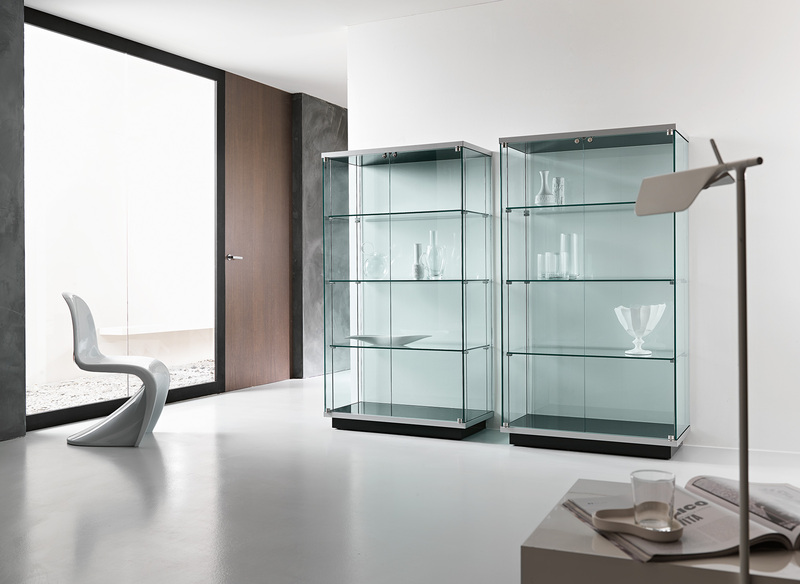 The back is available in transparent or acid-effect glass, wood lacquered in RAL colours, Wengé, bleached Oak or Rosewood. 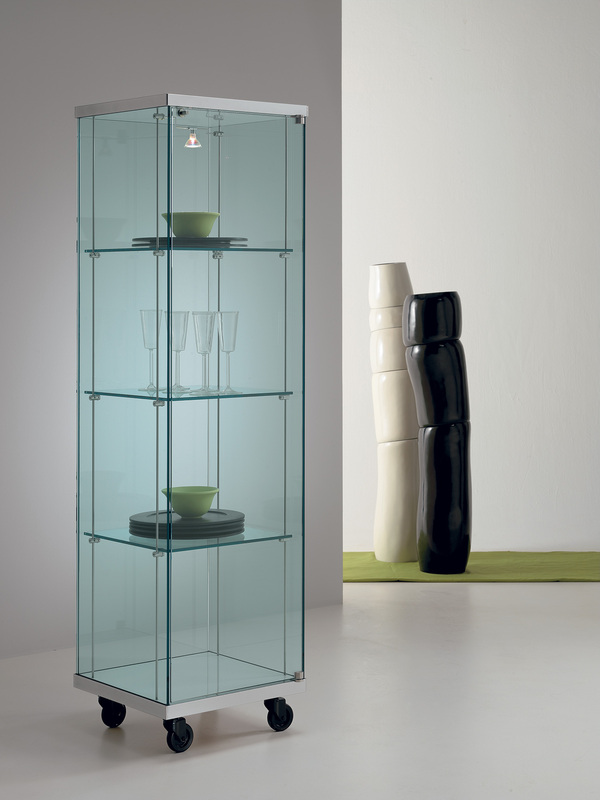 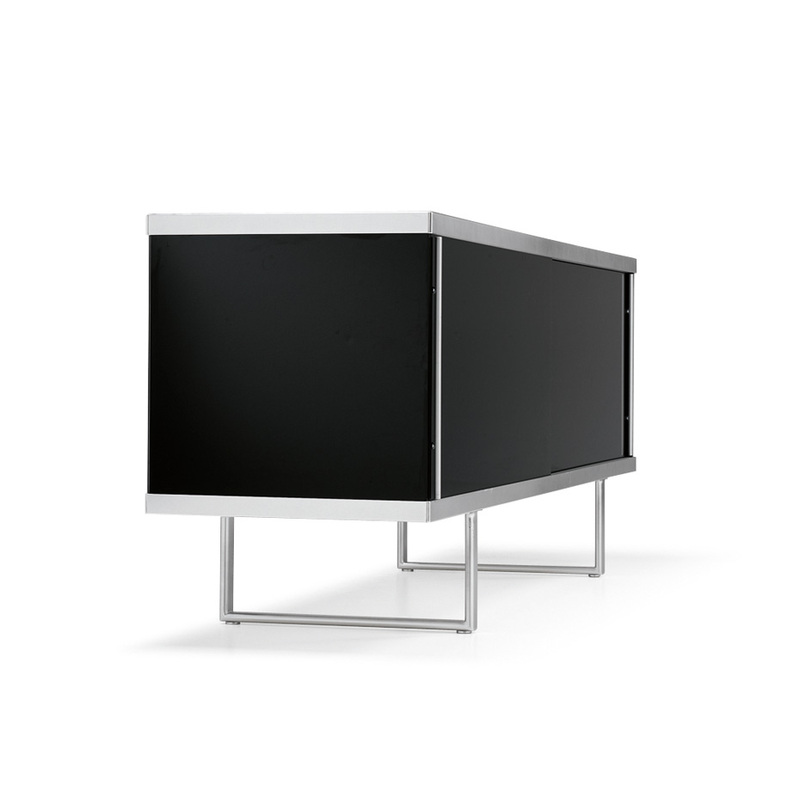 Top in black or white lacquered tempered glass.